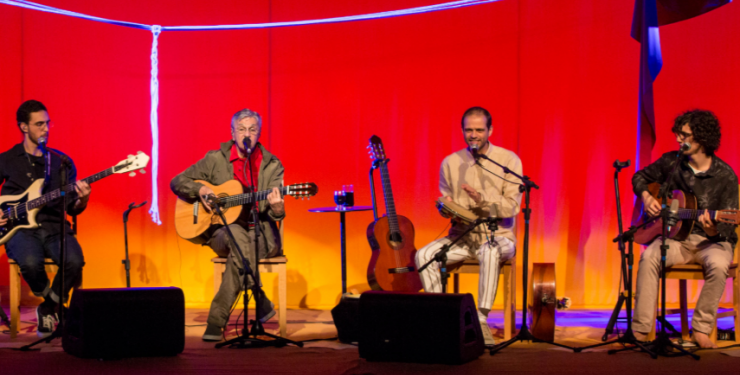 For more than 35 years, Grammy Award-winning singer/songwriter Caetano Veloso has been a major musical, social and cultural force in his native Brazil as well as an influential figure to musicians all over the world. Absorbing musical and aesthetic ideas from sources as diverse as The Beatles, concrete poetry, the French Dadaists, and the Brazilian modernist poets of the 1920s, Veloso—together with Gilberto Gil, Gal Costa, Tom Zé, his sister Maria Bethânia and a number of other poets and intellectuals—founded the Tropicália movement and permanently altered the course of Brazilian popular music. 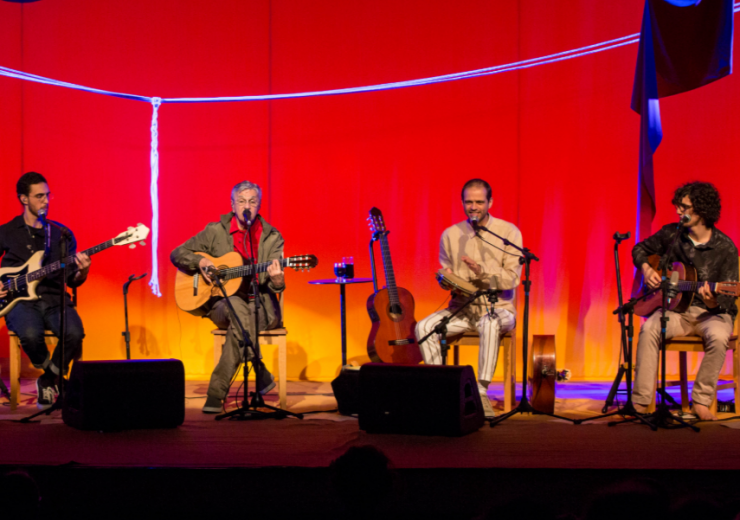 Described as “one of the greatest songwriters of the century” (The New York Times) and “a master in a league of his own” (The Times – UK), Veloso has released more than 50 albums to date and his newest project focuses on the Veloso family. A collaboration featuring his three sons, Moreno, Zeca and Tom, it reveals and celebrates the innate, and very intimate, musical relationship around their extraordinary songwriting.